Last Saturday, a few of us rode the Mammoth Gran Fondo out of Mammoth Lakes, CA. 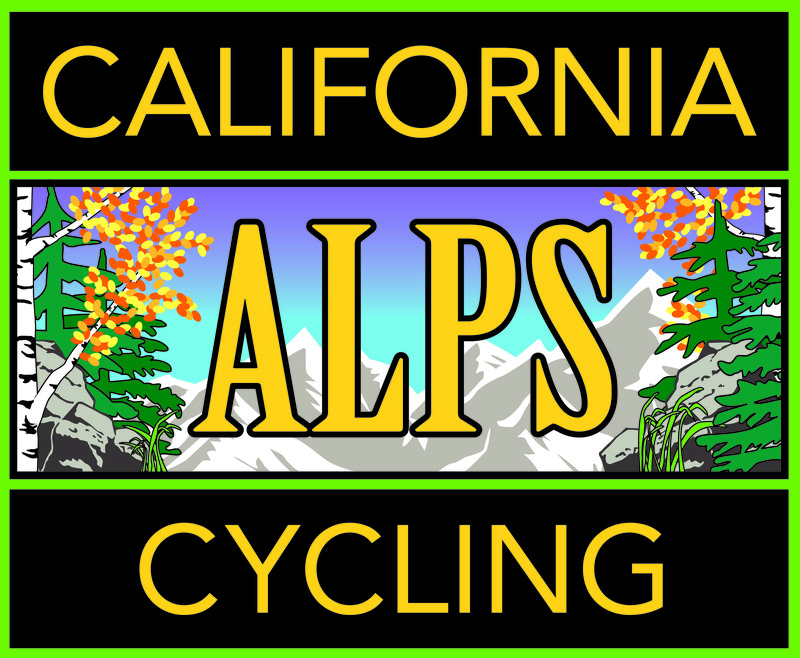 Members Mario Carmona and Chris Schull, along with yours truly (check out our Strava profiles on the CAC Membership page), rode from one of the southern points of the California Alps, still in the heart of the Sierra Nevada though, into the Owens Valley, and back. Map of my “Medio route” at the Mammoth Gran Fondo. Mario went for the Gran Fondo distance (i.e. the century) and Chris and I decided to do one of the shorter (the Medio, 70 miles) rides so we could drink more beer on Friday night. I had never been to Mammoth and so was pretty stoked to get a glimpse into what the place was all about. Unfortunately, due to my crazy schedule, we were only able to experience the vibe for a short time. Nonetheless, we made the best of it! Chris and I arrived just in time for “beertails” and after meeting Mario at our hotel to give him his CA Alps Cycling jersey (yes, they’re in – if you pre-ordered one I’ll be in touch soon), we headed to Mammoth Brewing. Had some good beer and fine grub (those chicken tacos on naan were lip-smacking good) and then decided to make one more stop for a “beerpertif.” Yeah, I know, I’m taking some liberties with the english language here…Can’t help myself! Okay, enough about the night life, which after all of our talk, really wasn’t much. We’re in our fifties (well Chris isn’t quite there yet but will be in a couple weeks) ya know and we did have a ride to do tomorrow. So, in the end, we were responsible adults and went back to the hotel fairly early so we could prep. our bikes for the next day. We had brought plenty of cold-weather gear for the start, but as it turned out, the day was a bit balmier than normal. About 45-50 at the start with bright sun, as you can see from the pix below. The blue in our jerseys works nicely with the sky, don’t you think? Does this shadow make me look fat? And here’s a bunch more from the Owens Valley, including a couple rest stop pix. As you can see, it was an amazing day. I still can’t get over the color of the sky in these images. Sometimes it looks almost purple. It’s that color that inspired us on the design of our kits. I should mention that the organizers did a great job. The rest stops were well-staffed and stocked, and that made to order turkey and cheese sandwich really hit the spot. Thanks! Members of MEC, the sign craftsman and members of the community participate on the dedication and unveiling at the North sign. Rest stop at 89 & 395. One of the benefits of being the lantern rouge – good photos like this. Shyanne, Kona, Java, Chris and Sam ahead of me in the meadow just to the west of Tamarack Peak. From outside the Faire after the snow stopped. The start line a the 2018 t L’Etape California. All smiles now that we have our finisher’s medals, which (GOOD IDEA) also double as bottle openers. The fall colors were rocking. The wind was just a bit of a breeze. The cars had taken a hiatus and it was just a picture perfect day. Part of what we do here in Markleeville. Mark on a soggy Ebbett’s Pass morning. The new jersey. New Jersey? Mark taking a rest during a snowshoe excursion on Mt. Rose. Oh, yeah! What a day! Yours truly heading back to the barn and yup, that’s Lake Tahoe in the background.